When I decided to sign up for nursing school, I knew that I wanted to work in a clinical environment. But after working a grueling year in a pediatric unit at a hospital, I started to look for other opportunities. As I began my search for something non-clinical, I was amazed at the host of possibilities available to nurses. Over the years, I've worked in a wide variety of nursing jobs from prior authorization and medical record review to clinical research; in fact, that's one of the great things about nursing, its versatility. Oh, and let's not forget the high demand for nurses! According to the Bureau of Labor Statistics, the demand for registered nurses is expected to grow 15 percent between 2016 and 2026, which is a faster-than-average growth rate for a job in the United States. 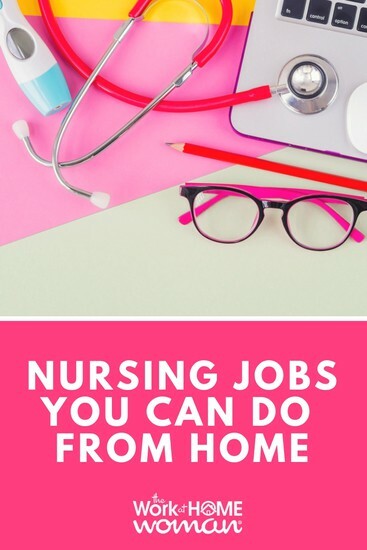 If you're looking to leave the clinical environment and ditch the commute, here are some of the best work-at-home jobs for nurses! 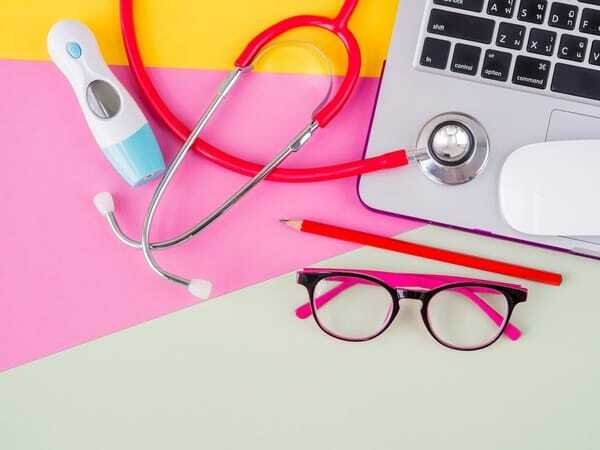 If you have an MSN or a Ph.D. in nursing — you can teach online nursing classes to college students. To teach BSN coursework, you must have an MSN degree, and to teach MSN nursing classes you have must a Ph.D. If you have an MSN degree, you can grade nursing students' academic submissions. Western Governors University hires for this position. Case Management is probably the most well known work-at-home nursing jobs. As a Case Manager, you'll oversee your patients care plan making sure that they receive the appropriate care, resources, and referrals so that they have can a successful outcome. These positions usually require a Bachelor's Degree along with an RN or an RD (Registered Dietitian) license. As a Diabetic Educator, you'll work with diabetics to ensure proper disease understanding, knowledge, and diabetic care, routine, and resources. Nursing writers write content for test prep courses, instructional manuals, and other training materials. If you're interested in this sort of work, other terms to search for are Nurse Certification Writers, Nurse Research Writers, Learning Development Writers, and Medical Writers. GEISWriters.com hires for this online nursing job. In this role, the nurse performs screening calls to determine the appropriate path of care for patients. Sometimes called, Care Advisor RNs. In this role, you will review medical records to make sure that the code billed was the appropriate code for the services rendered. These positions do require some technical writing skills, as you will contact providers for additional information and denial of payment notices. Other keywords to search for if you're interested in this position are, Concurrent Review RN, Clinical Appeals Nurse, RN Appeal Writer, Review Nurse, and Surveillance and Utilization Review (SURS) Nurse. Clinical Research Associates oversee all aspects of pharmaceutical research studies, from recruiting and monitoring to budgeting and reporting. These positions require a Bachelor's degree, an RN nursing degree, or experience as a Clinical Research Coordinator (CRC). From my experience, the majority of these positions are home-based, but they do require some travel. As a Quality Improvement Nurse, you will review hospitals' nursing record documentation for completeness, accuracy, and appropriate level coding. These positions usually contain a teaching element, where the nurse educates the staff on the importance of proper documentation and coding practices. Usually requires a fair amount of travel; on some job postings, it's 70 to 80 percent travel time. If you're interested in applying for this position, also search the keywords Clinical Documentation Improvement Specialist, Data Abstractor, and Nurse Consultant. Teacher Assistants help the instructor with a wide variety of tasks, like assisting with assignments, tutoring, and classroom support. Achieve Test Prep hires for this work from home nursing job. In this position, you'll search for and screen candidates for various healthcare positions. Most of these positions require a Bachelor's Degree with a healthcare background. Also, search for the keyword, Nurse Recruiter or RN Recruiter. As a sales representative, you will work with doctors, nurses, case managers, and other healthcare professionals in clinical settings to educate them on healthcare products, services, medications, and programs. Most sales positions offer a base salary with commission on sales or sign-ups. The majority of sales positions require overnight travel, usually about 50 percent of the time, the other portion you will work from home. Other terms to search for are Healthcare Sales Rep, Clinical Marketing Manager, and Clinical Sales Representative. CVS hires Clinical Sales Reps.
First, Legal Nurse Consultants work on their own as independent contractors; they are not employees. Second, you will need additional training for this position, and the one I'm most familiar with is Vickie Milazzo's (because I have received her brochures in the mail). Even if you don't take her training, her website has a lot of great information on how to get clients, how much you can earn, as well as success stories. If you're interested in this career, also check out Alice Adam's story — it has lots of useful information about the industry. You can also take your nursing knowledge and spin it into a whole new career, by starting a business. In fact, that's just what Elizabeth Irvine did. Once a pediatric nurse, Elizabeth now runs a business where she educates and empowers women through serenity jewelry, inspirational books, and soul-full workshops and retreats. You can check out her story here. If you'd had told me, I would be running a blogging business from home, I would have said you're crazy! But here I am. After unhappily working in the nursing field for five years, I decided to become a full-time stay-at-home mom, which launched my search for online jobs, and subsequent action of launching this blog. I've been running a blogging business for ten years now, and I couldn't be happier. If you're curious about my blogging journey, you can read it here. And if you'd like to start your own blog from home, I have a step-by-step tutorial here to get you started. Still Not Finding Your Dream At-Home Nursing Job? FlexJobs is my favorite place to search for work-at-home jobs because they let you refine your search by job type, schedule, job category, telecommuting level, company accolades, career level, and title. Being able to break down your job search into these specific categories will help you find what you're looking for faster. Plus, all their job postings are hand-screened for legitimacy, so you don't have to worry about dealing with scams. Have you brought your nursing job home? We'd love to hear about it, or if you've spun off into a new career, we'd love to hear about that too! Originally published December 2, 2016. Content updated March 5, 2019. Hi I’m Nurse Vicky from Philippines, Do you hire Regisered Nurse in Ph? If so, how can I proceed? These jobs are for US residents. I am new to this post. I have been working from home as an RN for the past 7 years. In that time I have obtained my BSN through my employer. I now find myself being the product of a major downsizing. There are many opportunities out there. You just have to keep looking. I am a Jamaican nurse who works in Tourism but I think it is time to move on. How likely is it to land an international work at home job seeing that Jamaica does not offer this kind of post, ever…? Do you think employers for work at home posts will require me having their specific license even though I would work from home? I would look at FlexJobs. They have a section of global positions for telecommuters. I’m not sure how many companies hire nurses outside the US though. Hello I am seasoned RN last worked ICU and Medical Step down Unit. I was involved in a MVA and has been off work since 2016. However, my physician has said I am able to work just with out lifting, pulling, or pushing anything greater than 10-15 pounds. Which lead me to be terminated after being off work over a year because the hospital could not accommodate my restrictions. I am interested in doing some home nursing can you help me find something I may be able to perform at home. Thank you. I’m sorry to hear about your accident. All of the above mentions are viable nursing options that offer telecommuting positions. If you’re looking to save time with your job search, I highly suggest paying for a FlexJobs’ membership. They’ll have all of the most current nursing listings on their website, so you won’t have to dig through each company’s site looking for the remote positions. If you have more specific questions, let me know. Good luck! Hi, my name is Chloe, and I am a RN with a Bachelor’s Degree, looking for a stay a home job because of a automobile accident that left me disabled. I love nursing and recently went back and took HEIDIS Nurse Training and received my certificate. I am just not quite sure how to begin looking for a work at home job. Hi Kara, I’m not sure. Do you have a LinkedIn profile that says you’re searching for a remote nurse case management position? I get a lot of recruiters contacting me on there for nursing positions. You may also want to seek out a nurse recruiter to assist you — they make money off of each successful placement, so it’s free for you. Hi. Does Wellbox hire LVN’S? Hi am a full time long term care RN for the past 8 years,am from Canada and wanting to work at home interested if you can help me thanks. Hello work at home woman, thanks for putting this website together. I came across this site after searching for nursing work at home jobs. Very good read, informative and filled with resources. I hear you! I was exhausted working on the floor! There are lots of remote opportunities for nurses. Good luck and keep us posted. I am an BSN nurse from india. I had work experience for 6 month in hospital. Further i m preparing for RN exam . N part time working as Director in School. Good luck on your nursing exam! Now a days Technology has so increased that any Registered Nurse can share his experience online via watsapp or Video Calling or Audio Calling Support. Registered Nurse can guide his patient at its best. Guidance by an expert Nurse in her work is the most important thing. Is watsapp hire RN’s? I am looking for a remote nurse position and am finding it very frustrating. WhatsApp is a tech company. They don’t hire nurses. He was saying you could use the platform to connect with people who would like to consult with a nurse, basically, start your own business.